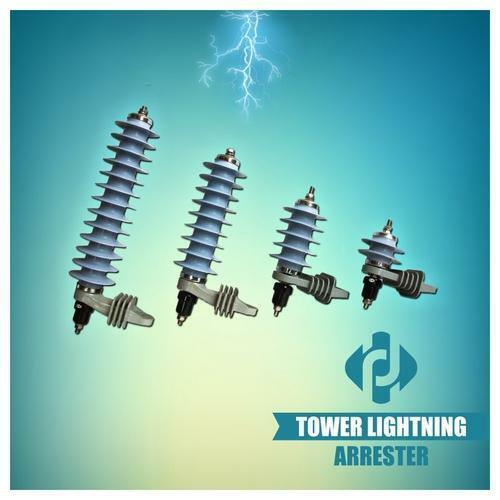 Pioneers in the industry, we offer ese lightning arrester, surge arresters, tower lightning arrester, lightning arrester, copper lightning arrester and lightning protection system from India. The result of many years of ongoing field research is the Advanced Lightning protection system. This unit provides the design engineer with an air termination relatively free of space charges, which is capable of creating ionization and which concentrate electric field to release free electron on the approach of a lightning leader. 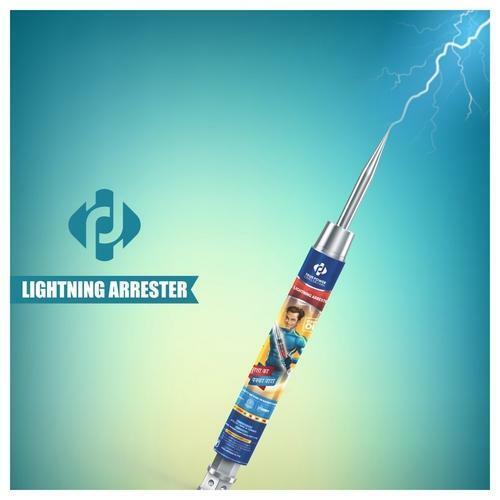 As a result, mostly only one lightning conductor is required against a large number of Conventional Lightning conductors This Advanced Lightning conductor is a dynamic device which has a very strong central ion generating system that is able to generate ions and requires no external source of power supply. 100/ATS-TP (Protection Radius 100m in level lll/90m in level ll/80m in level l at 3 m height. 80/ATS-TP (Protection Radius 80m in level lll/70m in level ll/65m in level l at 3 m height. 55/ATS-TP (Protection Radius 55m in level lll/40m in level ll/35m in level l at 3 m height. 3 50 mm 25X6 3 mtr 50x6 G.I. 5 50 mm 50X3 2 mtr 50x6 G.I. 7 50 mm 50X3 3 mtr 50x6 G.I. 3 25 X 6 50 x 6 G.I. 5 50 X 3 50 x 6 G.I. 7 50 X 3 50 x 6 G.I. 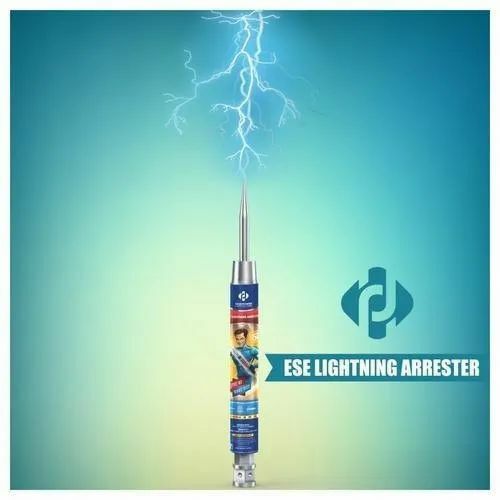 This unit provides the design engineer with an air termination relatively free of space charges, which is capable of creating ionization and which concentrate electric field to release free electron on the approach of a lightning leader. 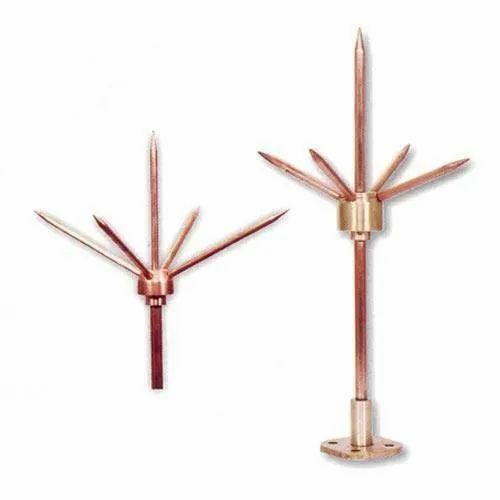 As a result, mostly only one lightning conductor is required against a large number of Conventional Lightning conductors This Advanced Lightning conductor is a dynamic device which has a very strong central ion generating system that is able to generate ions and requires no external source of power supply. 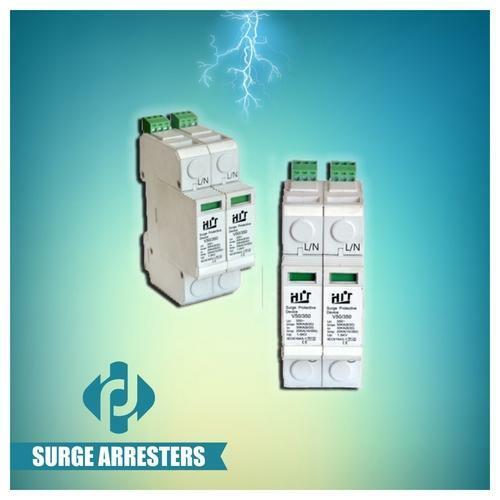 Lightning strike counter is used for recording number of times a lightning strike occurs from various kinds of lightning eliminators and lightning rod. It is kind of electro mechanical counter with digital display facility, lightning strikes provides valuable information for the maintenance and safety of all structures and its occupantsp>s capable of creating ionization and which concentrate electric field to release free electron on the approach of a lightning leader. As a result, mostly only one lightning conductor is required against a large number of Conventional Lightning conductors This Advanced Lightning conductor is a dynamic device which has a very strong central ion generating system that is able to generate ions and requires no external source of power supply.